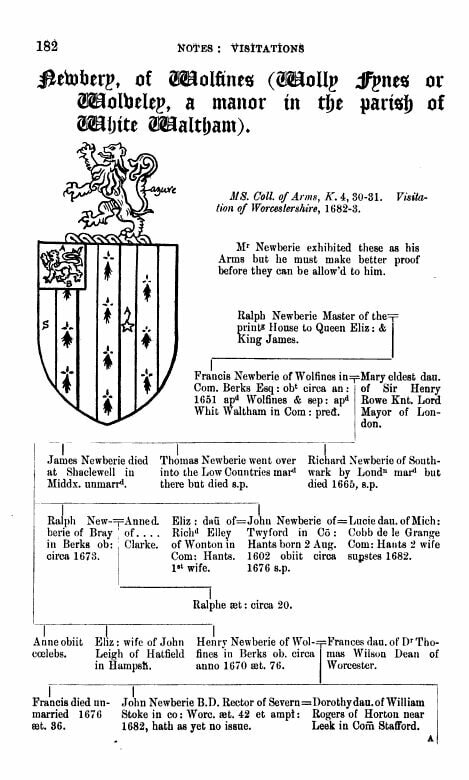 Recently, it has been found that a noted immigrant to New England, Walter Newbury was a native son of Berkshire. Researchers have been able to trace his family back to Berks to about 1594. There are some amazing records for this family at the British National Archives and at Lambeth Palace in the UK. Watch this space for new information. By Thomas Benolt, William Harvey, Henry Chitting, John Philipot, William Camden, Elias Ashmole, Sir Edward Bysshe, 1908.